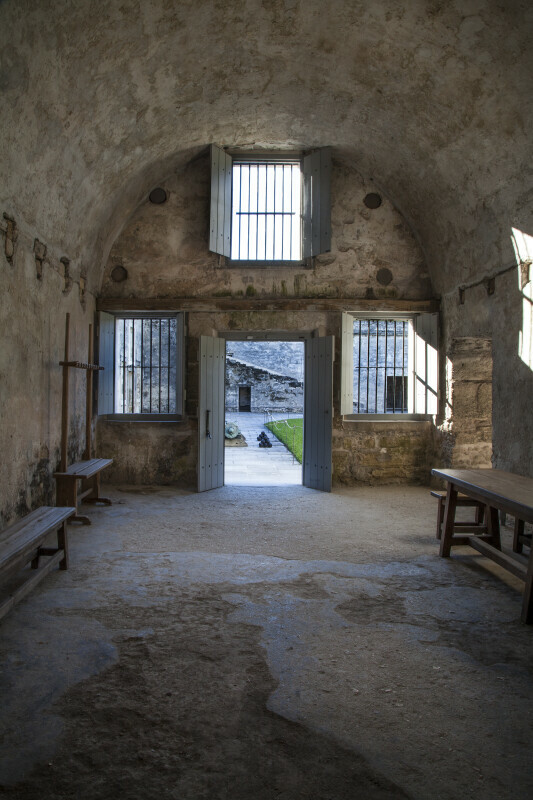 This photograph shows a room of the Castillo de San Marcos which is two rooms east of the chapel. The room has three barred windows which look out into the court. This room is near the northeast corner of the fort.